SsangYong is looking to make a big impression at this year’s Geneva Motor Show in March. It has been described as a ‘mid-premium CUV crossover utility vehicle’ and it marks a much needed change in direction for SsangYong. It is being hailed as the car that ‘defines the brand’s new design philosophy’, and it has a modern muscular look about it which gives of a sportier than usual (for SsangYong) impression. We think it is a great look, especially when you compare it to the likes of the SsangYong Rodius. Having driven a second hand Rodius for myself, I can only hope that they have improved the SsangYong driving experience as well as their design philosophy. It is as wide and long as the Land Rover Freelander, taller than the Range Rover Evoque and it is set to rival the Kia Sportage. Interior wise, not much has been disclosed regarding the SIV-1, thought they have confirmed that it will contain four independent bucket seats and a ‘mobile audio system’; whatever that is. 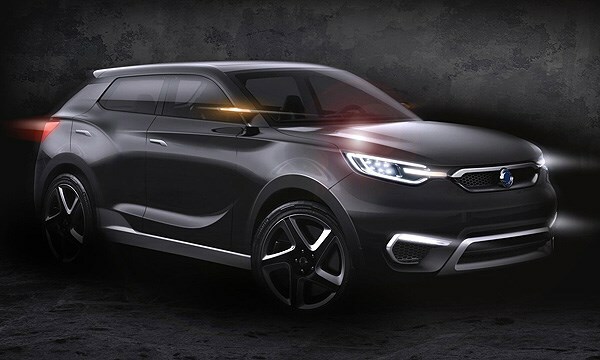 We are guessing that this car will eventually reach production, and we are excited to see how it is received at Geneva, but it is definitely a good move from SsangYong, if they want their brand to excel. This entry was posted in TBC Cars. Bookmark the permalink.